Are any of you making plans yet for your vacation this summer? Maybe you’re planning on seeing different parts of America, or maybe a cruise in the Caribbean, or even a trip overseas to Europe or some other exotic destination? Obviously, for anyone making summer plans, much planning is needed - where to stay, how to travel from one place to another, what to see, and who to visit. When proper preparation and planning is done in advance, such a journey will most likely be an exciting and fulfilling one! Well, for Orthodox Christians worldwide, tomorrow begins the most exciting journey of the year. From Clean Monday and for the following 40 days, we journey along a sometimes difficult, yet thrilling path – a journey where we need to struggle and make many sacrifices, but always with a clear goal in mind! 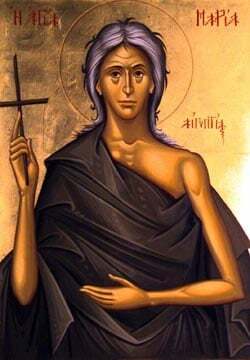 With our fasting, our self-denial, a conscious and deliberate effort of generous almsgiving and charity, along with a serious decision to evaluate our lives, and turn our attention more to God through pray and many Church services, we journey towards the destination of Holy Week and Pascha! Of course, to begin this long journey properly we need to have the right attitude. We need to understand that this spiritual “40 day journey” should lead us away from our normal, daily, often superficial and shallow routine of life and help us focus on what is most essential and eternal – our living and dynamic relationship with our Creator! Through this 40 day adventure of self-evaluation and sincere seeking of God, we prepare ourselves to experience and enter into the Passion and Resurrection of our Lord Jesus Christ in a most incredible new way. How many of us experience this 40-day fast of Great Lent and the celebration of Pascha in such a manner? Well, if we want to taste Lent as it was meant to be experienced, we need to plan and be prepared for what lies ahead. And today’s Gospel and Epistle lessons offer some very clear guidelines for beginning the Fast. The Gospel lesson begins by telling us to “forgive one another, as our heavenly Father also forgives us.” Forgiveness and mercy, love and compassion for one another – including our enemy – lies at the center of our Lenten journey. We can’t hope to draw closer to God if we aren’t willing to try and draw closer to one another. Forgiving one another plays such a central role in our Lenten Journey that we even call today, the Sunday before Lent begins, FORGIVENESS SUNDAY. Do any of us carry hatred, or bitterness, or anger, or resentment, or hurt and pain, that is hindering us from forgiving someone else? If so, today the Church asks us to confess and try to open our hearts for God’s Spirit to heal us and guide us in reconciliation. I’m sure this may not be for some, and maybe those who have hurt us don’t even want to be reconciled. Yet still, we hear today, abundantly clear, that we cannot even begin, no less travel far, in our Lenten journey, if we don’t at least try to forgive and be reconciled with one another! We must forgive others, as God has forgiven us! The second lesson from the Gospel tells us how to fast. We are called to fast in secret, not trying to show off or take pride in this spiritual discipline. Of course, Lent is closely associated with the physical fast, but too many of us don’t even understand WHY we should fast. So many focus on not eating certain foods, or giving up something else, but do we even understand how fasting is but a spiritual tool that helps us reach our ultimate goal – our union with God! The primary aim of fasting is to make us conscious of God. True fasting involves real hunger and even physical exhaustion. It means denying ourselves food during times of want. The Fathers of the Church recommended that we should always rise from the table feeling that we could have eaten more. When our bodies are weak and tired, we remember our human mortality. During these times of sacrifice and struggle, we turn our minds toward God and remind ourselves of our utter dependence on Him. Another purpose of fasting is to help us develop self-discipline in our lives. The mentality of the world is to satisfy our desires whenever we can. Too often we have allowed our bad habits, our sinful desires, and our deepest passions to control our lives. The Christian life, however, presents a radical reversal of such thinking. Until we learn to control all our habits, our actions and our thoughts, and place our whole being under the power of Christ, we can never properly grow in the Christian life. Thus, we fast not only from food, but from our anger, hatred, self-righteousness, egocentrism, pride, arrogance, and the like. Christ created us to be free beings, slaves of nobody or nothing, and fasting is a tool in helping us discover our freedom. A third purpose of fasting is to act as a source of illumination in our lives. If fasting is combined with increased prayer and acts of mercy, then Lent becomes a period of divine revelation and discovery. Throughout history, periods of fasting have been times when faithful people have met God. Saint Augustine wrote, "Do you wish your prayer to fly toward God? Give it two wings - fasting and almsgiving." Fasting, prayer and concrete deeds of charity and love all go hand in hand. Ultimately, we must look upon fasting as something positive, which should produce the spirit of JOY within us, if the Holy Spirit guides our efforts! It’s interesting, if the doctor tells us we have to change our diet for health reasons, most of us will surely listen. Yet when the Church challenges us to change our diet for spiritual reasons, many of us dismiss this as some outdates religious practice. For all who are serious in their faith, however, it is an important tool we are asked to use during this holy season. Society has assaulted us with so many false advertisements, that we have fallen into a terrible deception – thinking that the superficial things of life are essential to our happiness. Whether it is our material possessions - like our home, our cars, our fashionable clothing, or other such things – or whether it’s our desire for fame and influence over others, or whatever else, too many of us have set our hearts on empty treasures, treasures which we cannot take with us into heaven! Lent is a time when we sincerely reflect on the essence of our lives, on the meaning and purpose of life itself, and on what authentic treasures truly are. Christ teaches, “Lay up for yourselves treasures in heaven.” Such treasures have little to do with material possessions and powerful influences. Instead, heavenly treasures have to do with the eternal virtues of God – the treasure of love, mercy, joy, peace, kindness, goodness, compassion, faithfulness, truthfulness, acts of charity, hospitality and witnessing God’s love to others. These are the treasures that we will carry with us into heaven, and Lent reminds us to focus on and cultivate these things in our own hearts! A most blessed and fruitful Lenten journey to us all! !